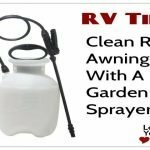 It’s one of the easiest things to overlook as far as RV safety goes. RVs can be substantially overloaded but not outwardly show it like a car or truck when it is obvious the back end is riding low. 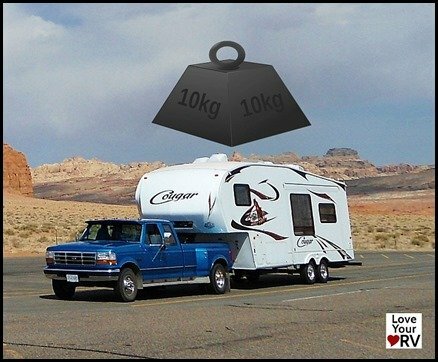 So unless you weigh your RV you may never know it may be dangerously overloaded and a safety concern. RVs leave the factory at a safe weight and most give plenty of extra weight capacity for us to load them up with our stuff. But sometimes over a period of time we add things and invent extra storage areas until almost imperceptibly we have bypassed the safe weight. 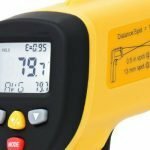 Carrying too many tools – I fell into this trap myself. Since I like to do most of my RV repairs and maintenance tasks myself I brought along a crap load of tools and supplies. These types of things tend to be very heavy and it doesn’t take much to easily add a few hundred pounds on the rig. Now I’m much more selective and consider each item carefully with its weight in mind. Adding Extra Batteries – The extra power sure is nice, but each additional battery will add somewhere between 50 and 75 pounds, so keep that in mind when building that battery bank. My 2 – 6 volt batteries weigh in at 62 lbs. each so right there the rig gained 124 lbs. when I upgraded the power. Generators – Another item many carry in the RV are generators and will typically add 50 –100 pounds. 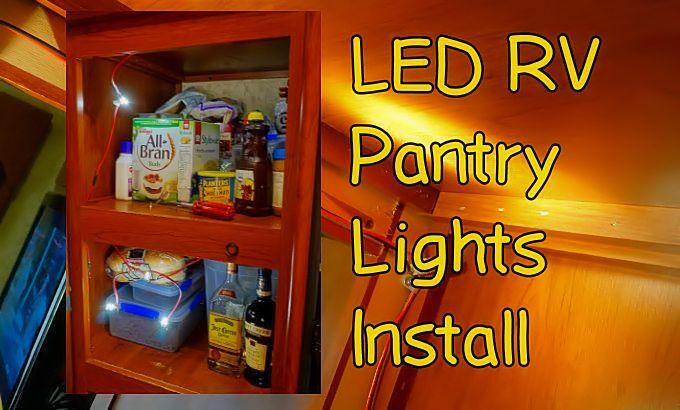 Dishes and Kitchen Appliances – With the popularity of slide-outs the newer RVs are providing more and more kitchen cupboard space. It’s tempting to carry a lot of extra dishes and many more kitchen appliances like blenders, mixers, can openers, etc. But keep in mind just because the manufacture has created extra space doesn’t necessarily mean they adding any extra weight capacity. Canned Goods – It’s nice to stock up and not have to hit the grocery or beverage store as much but canned goods, pop and beers are heavy so you may want to limit the quantity stored on board. Books – Books and magazines can add up in weight quickly. every so often donated them or get yourself an E-Reader device. Outside Stuff – Things like lawn chairs, barbecues, tables, decorations, etc. also all add up. Weigh the pros and cons and decide if the extra weight of an item is worth it. Do you really use it? Water – This is a big one! Every gallon of water on board weighs a little over 8 pounds. When I fill up my 60-gallon freshwater tank I’m adding an extra 500 pounds, give or take to the rig weight! If say I also have full waste tanks, I could easily be carrying 1200 pounds of water. 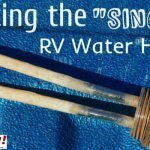 Not that this is likely to take place but it gives you an idea of how water can dramatically affect the weight and cause overloading of the RV. You’ll find there is an alphabet soup of weights out there to consider. 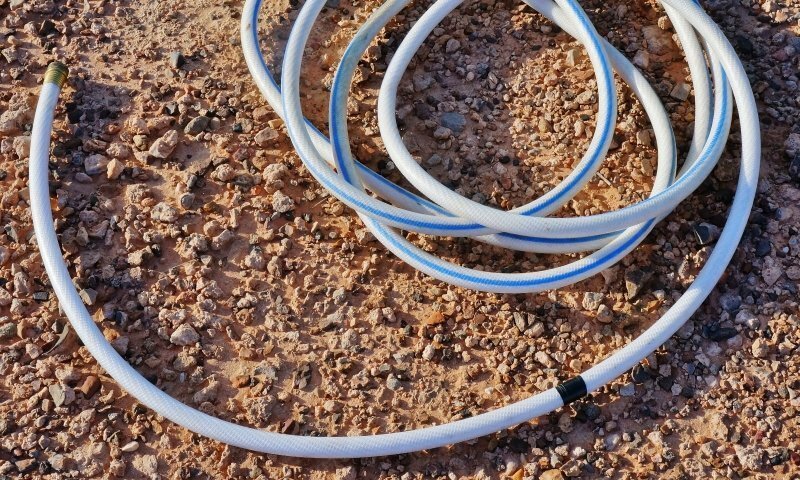 Your main concern is to not be overloaded on any of your RV’s axles or tires capacities. ChangingGears.com has a good write-up explaining all the acronyms. I find the easiest thing to do is find a closed highway weight station and see if the scale is on. 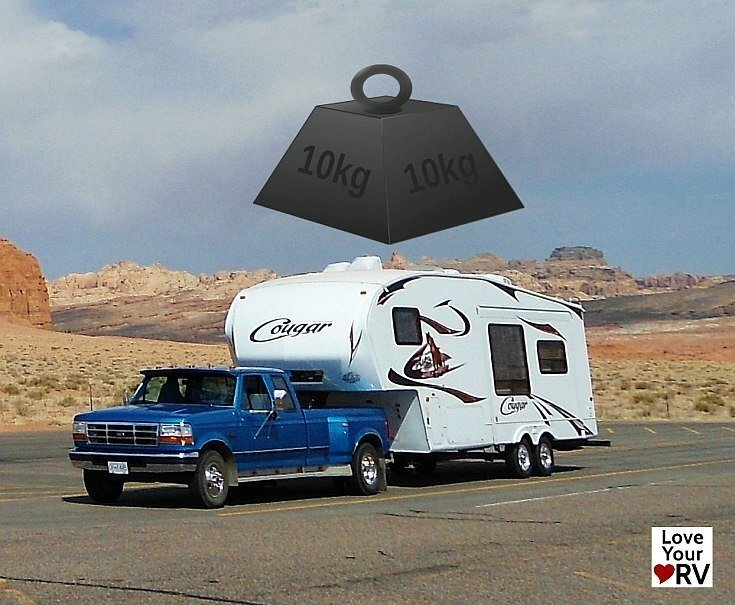 Pull in with the RV fully loaded and weight each axle, add them all together and you have the total weight of the RV. Make sure you have the normal amount of humans and pets on board as well as a full tank of fresh water to get an accurate approximation of max weight. To get the most accurate measurements, it’s worth it to have each of your rigs wheels weighed individually. You’ll find this service offered at many RV rallies, shows and anywhere large numbers of RVs gather. The problems caused by overloading of the RV can be very serious. 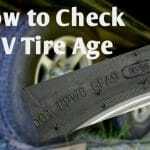 Overloading causes tire failures, excessive wear to the suspension and frame, and can degrade the handling characteristics of the RV. 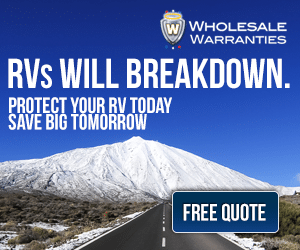 It’s in an RVers best interest to know the weight specs of the RV and keep under the maximum by in my opinion 10-15% for a good margin of safety. 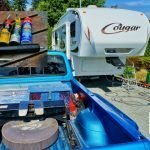 A bonus of keeping a lean RV is better fuel economy and don’t we all need that. Have any tips or things to add please feel free to let us know in a comment below. I got some good advice in the form of an email from a reader. 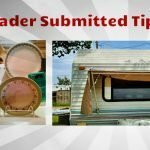 If you are needing to carry a lot of extra weight look into a Toy Hauler type trailer. That is why I intend on buying a Toy Hauler trailer. It can handle 4 thousand lbs. of load. Of course I plan to boondock most all the time, so I will need 300 lbs. of batteries, 175lbs. of solar panels, and it carries 830lbs. of water, 250lbs. of fuel, etc. Can carry a 250-350lb., 75-100 mpg motor scooter for most running around, and all the gear I can pile in. Yes, it’s heavy, but it will be my home, and I can haul it off the pavement. Additional Water capacity, fuel capacity, cargo capacity, are just some of the benefits of a Toy Hauler over a TT.. Some are very nice now, compared to when they looked like a garage inside. And, I don’t want or need a slide out, as that is just something else that could become a problem later on. Motor/electrical, or weather resistance issues to name two. Just thought you might have listed this as an alternative to those who want or need to carry more than their rig will safely allow. Thanks, Tom K.